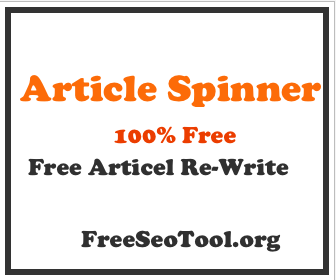 Looking for online Free Seo tools to find the size of a webpage? Our Web Page Size tool is designed for that and can be used to find the size of a web page in kilobytes. It’s because page size of a url determines the time it takes for the page to load, you need to find the page sizes of your web pages. Our Web Page Size Checker Tool is 100% free to use. The Page Size Checker tool is a tool that can be used by online users for free. If your webpage takes a long time to load then it can result in high bounce rate because the internet users do not have the patience to wait for the page to open in this face paced world of internet. Average size of a small webpage is about 12 KB and load in no time. However, as you add more media to your page, the size of the website page increases and will subsequently take time to upload. When you embed videos, graphics, image, flash, audio or any other form of media, it will automatically increase the size of your website. After you run this tool to check the size of your website, the results will be displayed in both Kilo Bytes (KB) and Byte. If your web hosting server has offered you a limited space, you can track how much space you are using by assessing the size of each web page through this tool. You can also limit the size of our page so that it loads faster and reduces the bounce rate. This is a very important tool to maintain the load time of your website that will ensure more foot fall.